Looks like some kind of glass ornament? Lovely colours. @alex_g Hi Alex...these were very large abstract bowls that were in the Seascape exhibit. Dale Chihuly does exquisite blown glass installions all over the world. I love his work! Thank you! Dale Chihuly does blown glass art installations and exhibits all over the world. This photo is from his “Seascape collection”, which were very large abstract bowls. I admire his work! Beautiful glass and capture I would love to see one of his exhibitions. Beautiful capture and excellent quote! I love the art of Chihuly! This is a gorgeous capture! fav! A great shot and a beautiful abstract processing. 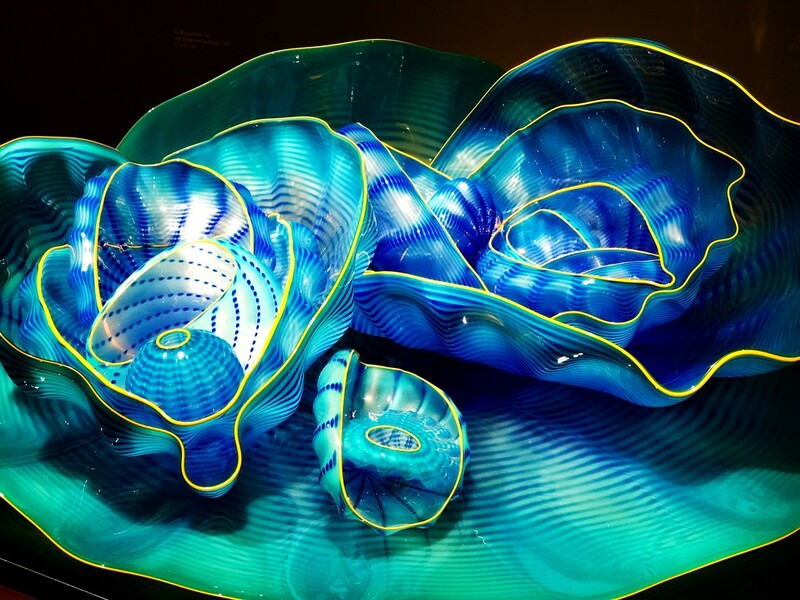 @ivyg123 Dale Chihuly is a wonderful glass artist!